To speak of Guinga without a litany of praise would be almost sacrilegious and blasphemous. The musician and composer from Rio may be counted among the pantheon of Brasilian musicians and composers together with the likes of Heitor Villa-Lobos, Antonio Carlos Jobim, Vinicius de Moraes, João Gilberto, Chico Buarque and a handful of others. His works have been performed not only by him, masterfully, on the violao, but also by such luminaries as Elis Regina and Michel Legrand and are instantly recognisable for their utter simplicity and beauty in a Bach-like sense – prized for their exquisite counterpoint, their brilliant melisma, purity of tone and accuracy of line. The great Hermeto Pascoal has referred to Guinga as perhaps the greatest Brasilian composer of the last one hundred years. Somehow that might not seem to be that much of an understatement. Guinga appears to be a composer capable of anything from narratives with intricate storylines (Cine Baronessa) and exquisitely documented and mesmerising musical movements (Suite Leopoldina). His repertoire is drawn from Brasilian folk forms and classical music to popular Carioca rhythms and jazz, as well as the vast topography of European music. He has a great memory and sense of musical history and his musical sphere of reference are so wide that he may very well be referred to as the quintessential world musician. But Guinga belongs to Brasil. His music is rooted in the shuffle of the carioca, the chatter of Rio as well as in the syncopations of tumbleweed on the vast Brasilian sertão. Somehow, as if by magic, he is able to capture the poetry in what he sees and hears on the classical guitar. His fingers then go to work and move as if they are independent of the rest of his body. He caresses strings as if he were making love to a woman. So it is no surprise that his music is most illuminating, with a myriad, most vivid contrasts of vocal colour and harmonic language to grasp the ear. Nowhere is this more audible than on these two late discs from 2015. The genius of Guinga is all over Mar Afora but now there is another reason to celebrate. The Portuguese chanteuse Maria João joins the Brasilian in one of the most joyous performances of the year 2015. Without meaning to stir up a hurricane of controversy by suggesting that one Guinga recording is better than the other, this one really stands out as a defining piece of musicianship. ‘Flawless’ is a word that comes instantly to mind. This word is often associated with the guitarist. His extraordinary compositions are swathed in the simplicity of circumstance. 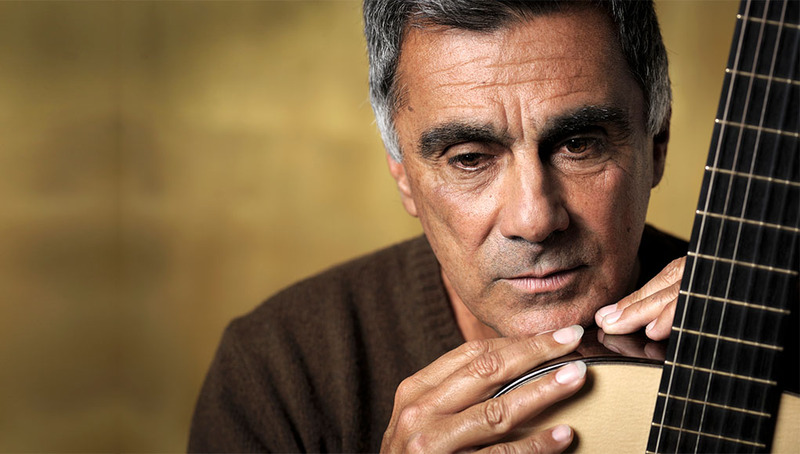 Music weeps with sorrow and joy. The sense of saudades is all over Guinga’s music… and then there is his guitar playing which is majestic and mesmerising at the same time. The pristine quality of the notes, articulated with such splendour, burrow deep in the listener’s consciousness that it is sometimes impossible to part ways with his music long after it has passed. The performance is a journey into what might easily be described as the interior landscape of art. The quintessence of music’s ethereal dimension is opened like a portal beckoning mesmerised listeners to enter. Listening to Sete Estrelas will provide a measure of what it means to be seduced by the music. It is spiritual music as much as it is temporal. All Brasilian music is like this, but the gift of Guinga is to bring this aspect of Brasilian music to life in such a manner that it sticks in the memory. You will not be able to resist the subtle charms of Passarinhadeira, Senhorinha and Saci. This, of course, does not mean that the rest of the music is not as alluring. On the contrary, the music of Mar Afora is as relentless and hypnotic. It describes a voyage as wonderful, mystical and unforgettable in a ship of Guinga’s and Maria João’s absorbing making. Put on this recording and prepare to be seduced. Track List: Simples e Absurdo; Sete Estrelas; Canibaile; Via Crúcis; O Coco da Coco; Cançaõ do Lobisomem; Catavento e Girassol; Contenda; Passarinhadeira; Chá de Panela; Pra Quem Quiser me Visitar; Senhorinha; Saci; Vô Alfredo. 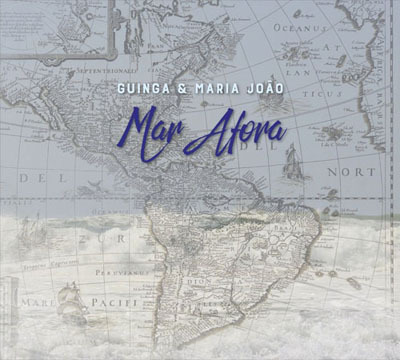 Personnel: Guinga: voz e violao; Maria João: voz. This extraordinary album features sublime duets with four of the finest contemporary vocalists inside and outside Brasil. Songs – as sung by Maria João, Esperanza Spalding, Maria Pia de Vito and the doyen of vocal music in Brasil today, Monica Salmaso, muse to a myriad musicians – are performed with expressive subtlety and placed in luminous and urgent context. The sopranos (and Ms Salmaso’s sensuous contralto) are exquisitely pure and radiant, and inner voices emerge or blend with magisterial refinement, with Guinga’s guitar. I would venture to add that if these studio versions sound so close to the heart heaven knows what the live versions might sound like. Given the beauty of what the ladies convey through microphones in the studio, that is, these duets must sound almost otherworldly when performed in the concert hall. Guinga is equally memorable throughout the programme. His sound is warm and penetrating and he travels the instrument’s range with nimble assurance and has an exceptional command of dynamic extremes especially when his guitar performs a disappearing act. Guinga puts his multifaceted artistry to splendid use in this programme of music that includes much of his own music as well as that by other Brasilian composers. The repertory is designed to employ guitar and voice in invigorating and poignant conversations many influenced by ethnic sources from Rio and elsewhere. The modal flavours in Guinga’s music are partly what make it so instantly appealing. Harmonies travel surprisingly from major to minor (and back again), and phrases head on vibrant rhythmic tangents with feet rooted in dance forms. The music is a whirlwind example of Guinga’s ability to embrace Brasilian culture and keep it leaping. Guitar and voices share honours here and throughout the album in affecting pieces that are sweeping, haunting and altogether memorable. Much of this has to do with this work being one of utter romance and profoundly beautiful persuasion all of which is dramatic to the hilt. Track List: Cine Baronessa; Ligia; Boa Noite, Amor; Se Queres Saber; Passarinhadeira; Caprichos do Destina; Ilusão Real; Contenda; Noturna; Porto da Madama; Cançao da Noiva; Serenata do Adeus; Duvida. 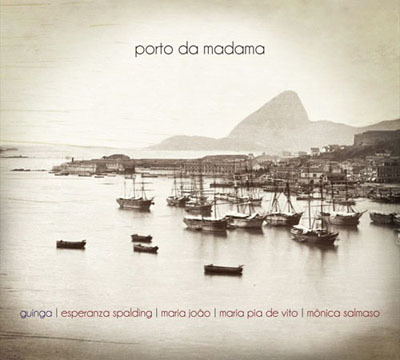 Personnel: Maria João: voice (1, 5, 8 & 11); Esperanza Spalding: voice (2 & 12); Maria Pia de Vito: voice (3, 6 & 9); Mônica Salmaso: voice (4, 7, 10 & 13); Guinga: arrangements and violao. That Guinga’s guitar music has found numerous champions attests to the composer’s ability to write well-crafted, wide-ranging, accessible and passionate works that are both challenging and audience-friendly, as well as idiomatic enough to sound harder than they are actually are to execute. Perhaps the latter characteristic is due to Guinga’s own terrific guitar virtuosity. 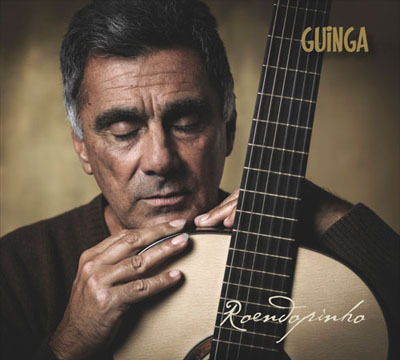 In any case his mighty album Roendopinho abounds in substance and authority. The opening Pucciniana piece features lithe, quicksilver contrapuntal writing and stern, granite blocks of chords, while Roendopinho goes back and forth between rhapsodic flurries and expansive, tuneful melodic lines. Other music is relentless yet texturally varied and featured single lines that dart up and down the fretboard. Some of the best work on the album (Funeral de Billie Holiday and Ellingtoniana) contrasts jazz-sounding American writing wide interval leaps in the lyrical sections with Scriabinesque agitation in the central climax. These gestures all are jumping-off points from which Guinga’s own ideas evolve and flourish. Guinga the composer has a sympathetic interpreter in Guinga the performer, who imbues his works with solid virtuosity, a sense of long lines and a keen ear for textural variety. The poetry in his playing is affecting and imbues his playing with a most profound beauty that few other guitarists, let alone Brasilian guitarists have. Guinga’s wordless vocalastics add a world of splendour to this repertoire. Each of the songs is also carefully considered and wrought in graceful sunlit shades of romantic twilight. All of them capture the modest charm and lyrical flavour of Guinga’s music. This album is replete with such music and presents a true legacy for a newer generation of guitarists and songwriters to learn from. But above all, this music is Guinga at his very best and provides an excellent guide to the music of one of Brasil’s most important minds of over a century of that country’s musical history. Track List: Pucciniana; Choro Breve No. 1; Roendopinho; Anjo de Candura; Picotado; Igreja da Panha; Cheio de Dedos; Di Maior; Constance No. 2; Unha e Carne; Sargento Escobar; Funeral de Billie Holiday; Cambono; Lendas Brasilieiras; Ellingtoniana.